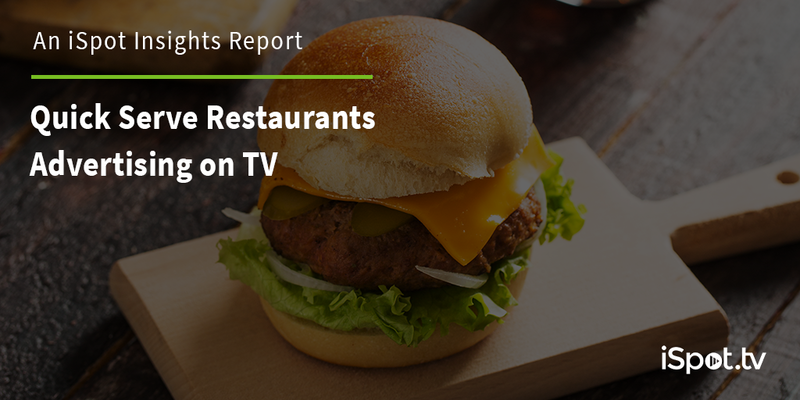 The Quick Serve Restaurant category has seen a decline in Estimated TV Ad Spend and TV Ad Impressions, compared to the category’s returns in 2018 during the same time period (Jan. 1- Mar. 31). In return, we’re seeing a year over year increase of over 35% on Spots, and an increased number of brands in the category — from 39 in 2018 to 47 in 2019. So far in 2019, Taco Bell ranks #1 in Estimated TV Ad Spend at over $148M and #1 for TV Ad Impressions at over 10.1B. In our latest edition of iSpot Insights, we follow the data of a few beloved Quick Serve Restaurant brands that instantly take us back to childhood or college days — Burger King, McDonald’s, Subway, Taco Bell, Wendy’s, and more!